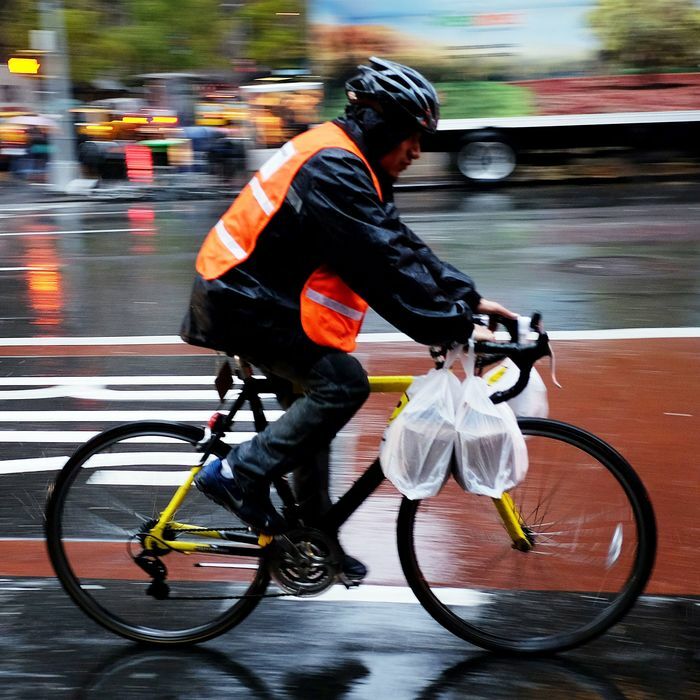 Periodically, GrubHub-Seamless digs into its mountain of delivery data, and there’s a brief public reckoning over New Yorkers’ lousy or surprisingly commendable tipping habits. For its latest breakdown of who’s tipping what, the online-ordering behemoth has teamed up with massive real-estate website StreetEasy. The two combined their powers — StreetEasy’s info on median rents in 2014, Seamless’s tip averages during the same — and used the results to gauge how paying a lot for rent affect tips. Not surprisingly, they conclude there’s a link, and sadly the two seem to be inversely related. When tips and rent were compared, Seamless and StreetEasy say they found “the higher a neighborhood’s rent, the less residents tend to tip.” People in Upper Carnegie Hill, a well-off New York neighborhood, were the city’s worst tippers, tipping an average of just 12.3 percent, and 17 of the worst 20 tipping neighborhoods were in Manhattan. It could be because the rent burden is higher in these neighborhoods, but that might not engender much sympathy from the guy who just received a buck for the Chinese he walked exclusively on marble to deliver.